We’ve reached another, even more critical, time and place to honor and recognize the Warfighters that defend our nation and its national security that is in growing position of strength in the upcoming denuclearization talks with North Korea. We stand in honor and recognition together for our GMD soldiers and airmen crews in Alaska that are at the baseline core of our missile defense. 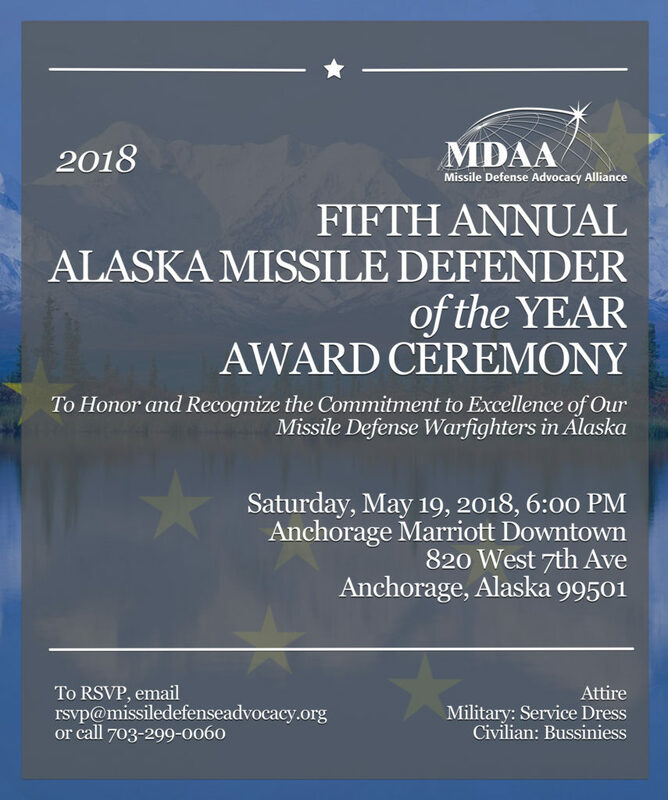 Please join us at our 5th Annual Alaska Missile Defender of the Year dinner and award ceremony in Anchorage, Alaska.